The Senate will begin confirmation hearings for Supreme Court nominee Brett Kavanaugh on September 4. Sen. Chuck Grassley, the Republican chairman of the Judiciary Committee, said the committee will launch up to four days of review on Tuesday, beginning with opening remarks from senators. Kavanaugh will face questions followed by testimony from legal experts and people who know the judge. Republicans are eager to confirm President Donald Trump's nominee ahead of the new court session Oct. 1, as Justice Anthony Kennedy retires. 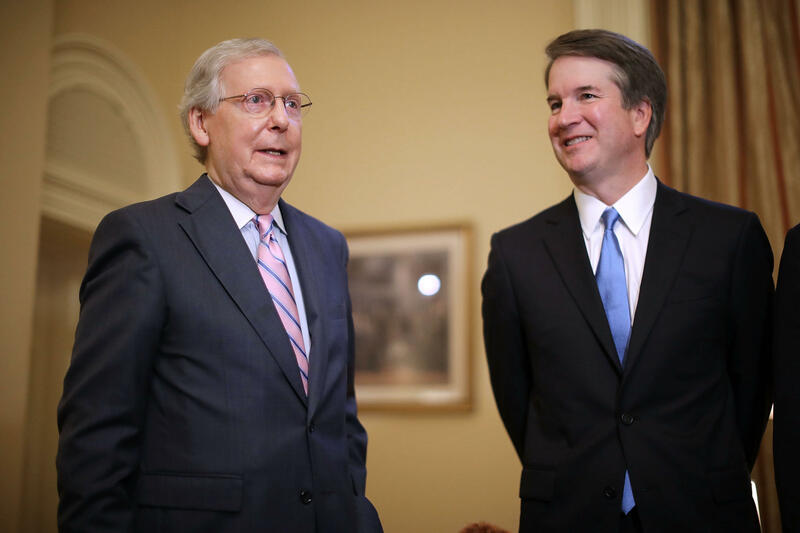 Democrats have complained Republicans are rushing the process for the lifetime appointment without proper vetting of Kavanaugh's record. In 2016, Senate Republicans refused to hold confirmation hearings for President Barack Obama's nominee to the Supreme Court, Merrick Garland, believing that the Supreme Court vacancy occurred too close to the election. Democrats now argue that Republicans are now trying to hurry a confirmation process shortly before the 2018 midterm elections. Republicans have in turn accused Democrats of attempting to block the confirmation process of a qualified candidate. Senate Majority Whip John Cornyn criticized Democrats who oppose Kavanaugh's confirmation in a statement. "The transparent stall tactics and now thinly-veiled attacks on Judge Kavanaugh's character only underscore the strength of the choice President Trump has made," Cornyn said. Grassley said Friday there's "plenty of time" to review the documents but added it's time for Americans "to hear directly" from Kavanaugh. White House spokesperson Raj Shah said that "Chairman Grassley has lived up to his promise to lead an open, transparent and fair process." "Judge Kavanaugh looks forward to addressing the Judiciary Committee in public hearings for the American people to view," Shah said.